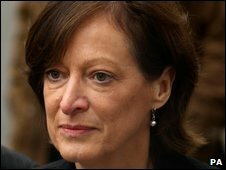 Lawyers acting for Sharon Shoesmith have demanded to see drafts of an Ofsted inspectors' report prepared after the death of Baby Peter. The request comes after allegations the assessment of Haringey's children's services was secretly downgraded from "good" to "inadequate". Ms Shoesmith, 56, the head of children's services, says she was unfairly sacked after a "witch-hunt". Ofsted said it "refutes the allegation that it manipulated any results". The law firm representing Ms Shoesmith has written to the treasury solicitor demanding the disclosure, following a whistleblower's allegations that an annual assessment report on Haringey was secretly downgraded. In the letter, a Guardian article published on Saturday is quoted. The newspaper reported allegations that "senior managers at Ofsted instructed inspectors to rewrite the [2008 annual performance assessment] report on the same information, changing everything because they [Ofsted] were more interested in protecting Ofsted than protecting children". Ms Shoesmith's solicitors have also renewed a request that Ofsted disclose successive drafts of the report of the 2008 joint area review (JAR) of Haringey that played a major part in the sacking of their client. Ms Shoesmith, 56, was dismissed from her post as children's services chief at Haringey in December, following the damning JAR report which concluded there was "insufficient strategic leadership and management oversight" in the safeguarding of local children. 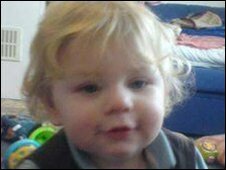 Children's Secretary Ed Balls sent Ofsted inspectors into Haringey in November 2008 after the trial of those responsible for the death of 17-month-old Baby Peter. His mother Tracey Connelly, 28, her partner Steven Barker, 33, and Barker's brother Jason Owen, 37, were all jailed for their part in Peter's death. Ms Shoesmith is seeking judicial review at London's High Court against the council, Mr Balls and Ofsted. She is also seeking damages. Her lawyers argue she was unfairly and unjustly dismissed after Mr Balls allowed himself to be influenced by a "media storm and witch-hunt" over the Baby Peter case. Ofsted said the 2008 annual performance assessment (APA) took into account the specially commissioned JAR, and new inspectors had been asked to start the APA again in light of the JAR's finding. In a statement it said: "Ofsted completely refutes the allegation that it manipulated any results. "No pressure was put on these inspectors to downgrade the APA rating."